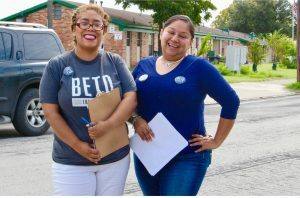 SAN ANTONIO – How suburban women will vote is a hot topic for the midterm elections, but Democrats also are actively pursuing another important female voting bloc – women of color. And the strategy seems to be paying off in Texas, where there is a spike in both black, Latino and Asian-American women candidates and campaign volunteers. The DNC’s Latina outreach program launched earlier this year in Austin, Texas. Women of color’s political participation in Texas offers a snapshot of the impact women of color could have on the midterm election results. The challenge facing Democrats in Texas is that although nearly 40 percent of the state’s population is Latino, Latino voter turnout nationally tends to trail most demographic groups at 27 percent. But this election season, Latinos may deliver a higher turnout. The National Association of Latino Elected and Appointed Officials anticipates a 15 percent increase from the last midterm election – to 7.8 million Latinos. The association’s latest report found that among registered Latino voters polled, 72 percent plan on voting Democrat in congressional races. According to the Pew Research Center, black women are among the demographic groups with the highest voter turnout of 64 percent. This election cycle could show the strength of an emerging voter bloc comprised of black, Latina and Asian Pacific Island women. 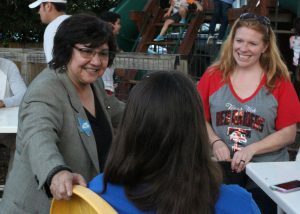 Gina Ortiz Jones, a Filipina running for the House of Representatives in the 23rd congressional district of Texas, is an example of how female Texas Democratic candidates are attracting women of color – both as voters and volunteers. Young Latinas have gravitated toward Ortiz Jones’s platform – affordable health care, better educational opportunities and lower college costs, and government accountability. Alexis Torres, a 22-year-old graduate student and campaign fellow for Ortiz Jones, says health care is an important issue but education affects her more directly. Diana Pena, a 21-year-old undergraduate student who also volunteers with the Ortiz Jones campaign, says she could have attended a more prestigious college but opted for the University of Texas San Antonio because the scholarships it offered her were the only way she could afford to go to college. “It’s all about education for me right now,” said Pena. Traditionally, Texas is a red state, which would indicate a tough race for Ortiz Jones. But, CNN ranks the Ortiz Jones race against GOP incumbent Rep. Will Hurd as a left-leaning tossup. In the 2016 presidential election, Hillary Clinton won the district by 3.5 points. On the state level, Democrats Lupe Valdez, a Latina gubernatorial candidate, and Joi Chevalier are long shots against Republican incumbents Gov. Greg Abbott and Comptroller Glenn Hegar, but they are attracting women of color as volunteers and voters because of their focus on health care and immigration. 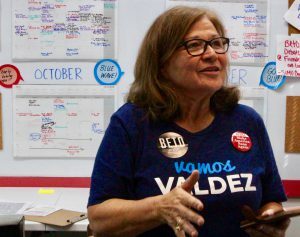 Texas Democratic party volunteer Gloria Garza Gutierrez says affordable, accessible health care is her top reason for voting for Democrats, although she also is concerned about the separation of immigrant families. “My daughter had a baby and all of a sudden after the baby she has $28,000 debt,” said Garza Gutierrez. 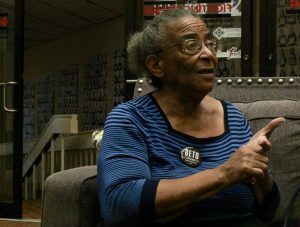 Nettie Hinton, a black woman and civil rights activist in the San Antonio area, calls President Donald Trump’s efforts to prevent Central American migrants from seeking asylum in the United States a civil rights violation. 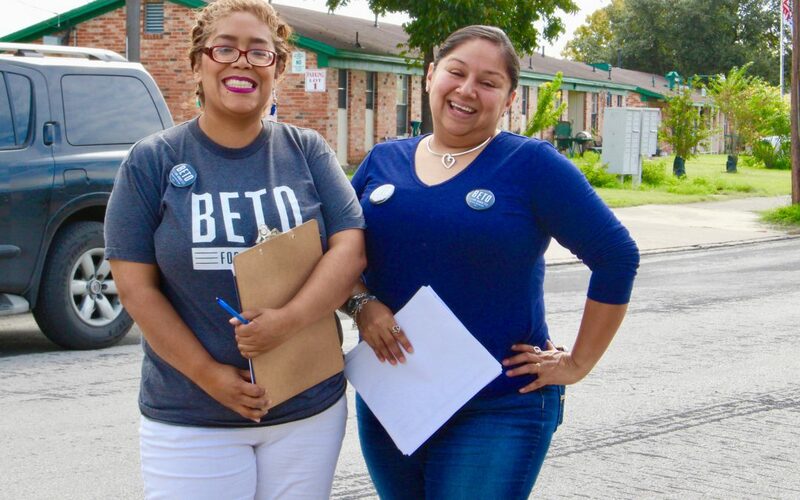 According to Diana Perez and Diana Espinoza, two canvassers for the Democratic party who knock on doors to get people to vote, enthusiasm for the midterms in Texas is high. Reports show more than 2 million Texans cast in-person ballots and almost 300,000 have cast mail-in ballots during the first five days of the early voting period. Perez and Espinoza walked the blocks of San Antonio during a downpour recently encouraging residents to vote. even if the lines are long.